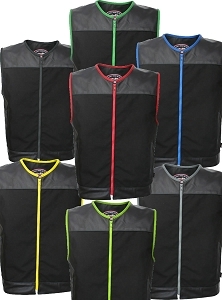 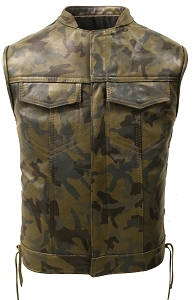 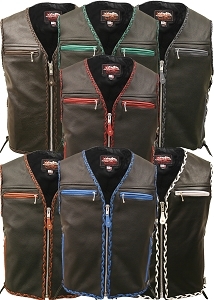 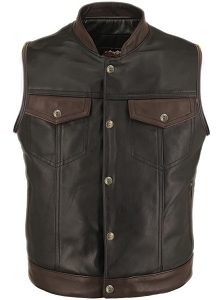 Every one of Hillside USA Men’s Leather Motorcycle Vests is handcrafted right here in the USA. 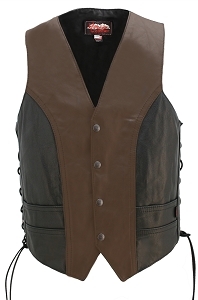 When it comes to quality, you don’t need to look any further than Hillside – the leather is thick and supple 4-4.5 oz Leather, Cordura lined pockets, two inside leather lined gun pockets, and the best guarantee in the business – for a lifetime! 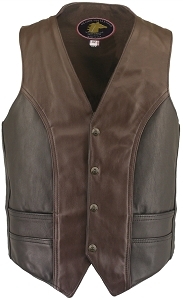 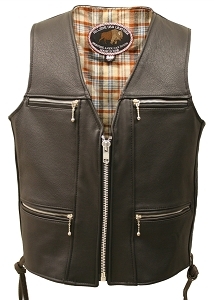 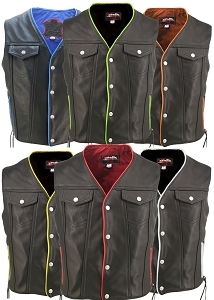 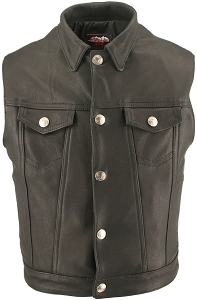 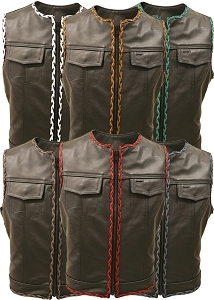 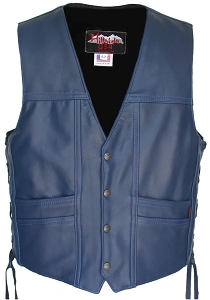 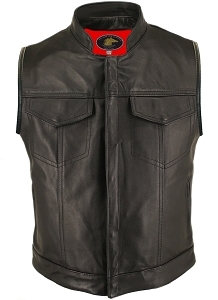 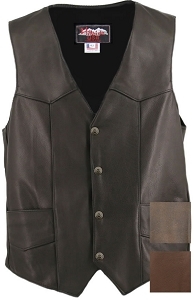 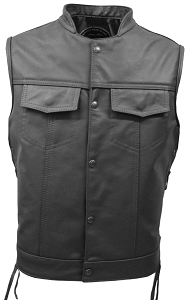 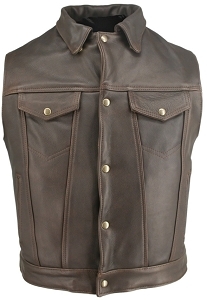 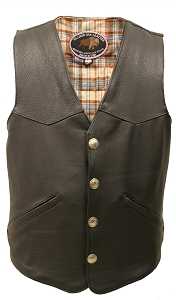 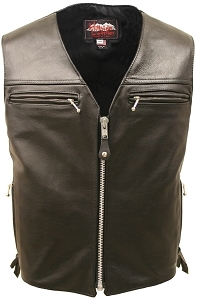 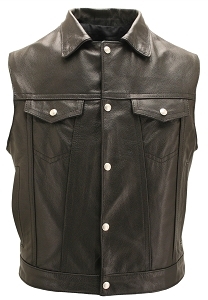 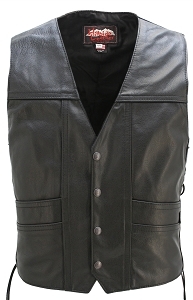 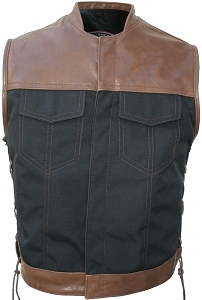 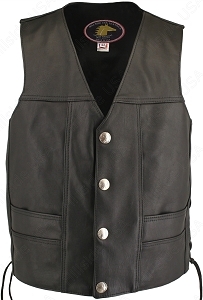 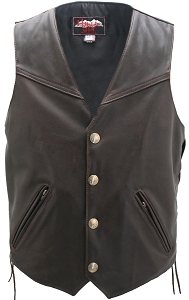 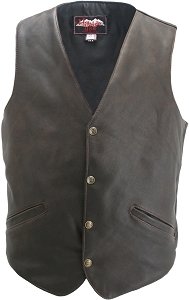 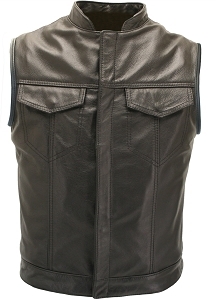 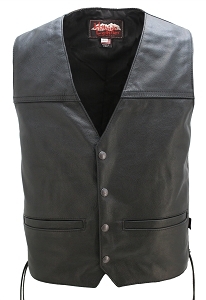 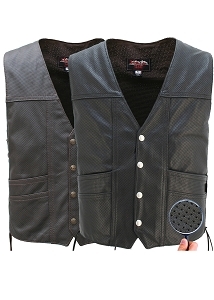 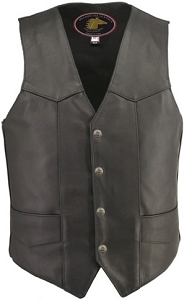 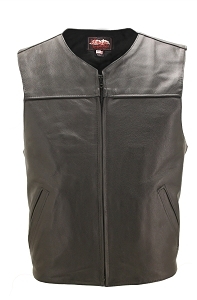 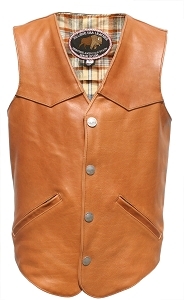 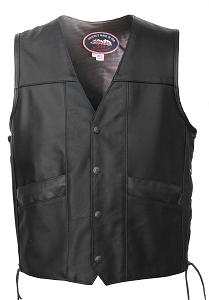 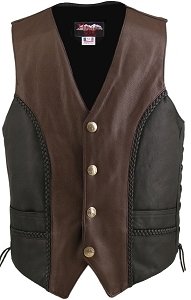 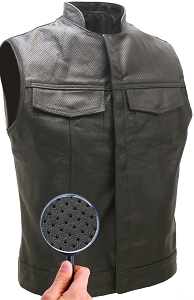 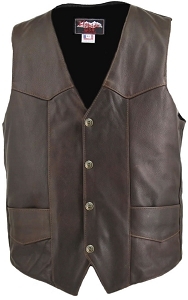 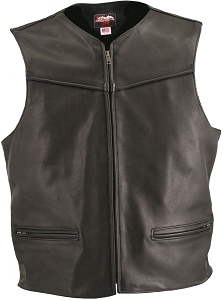 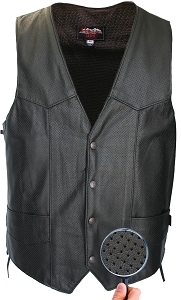 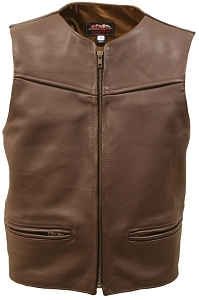 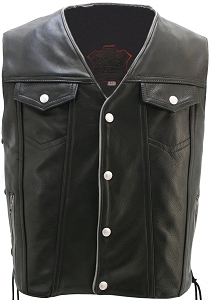 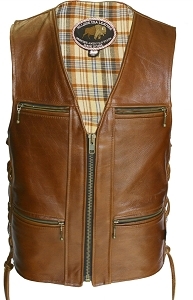 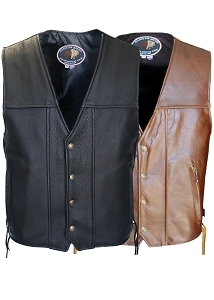 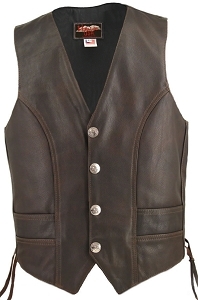 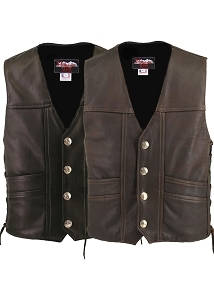 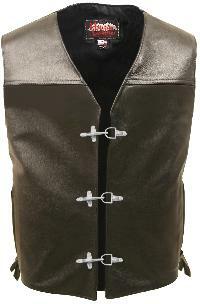 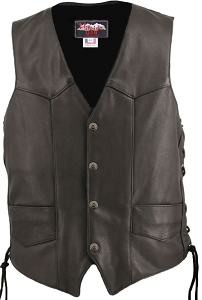 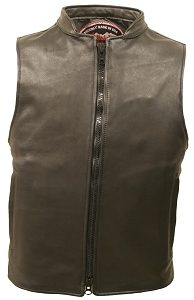 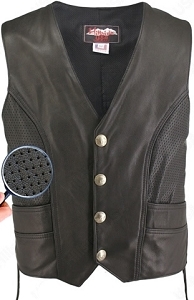 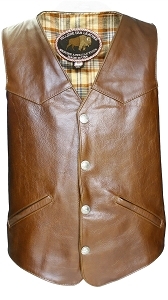 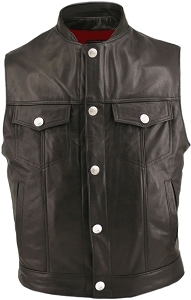 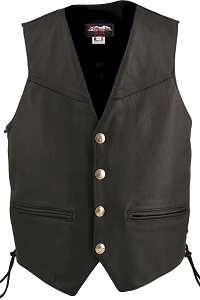 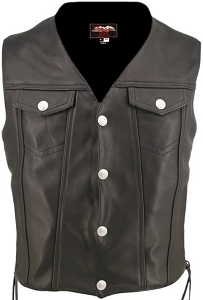 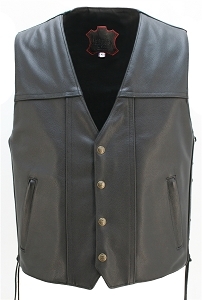 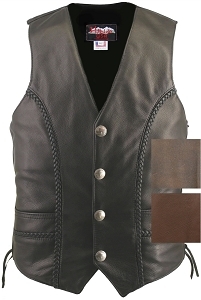 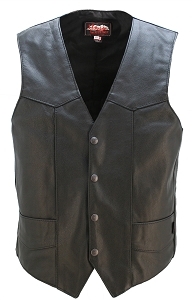 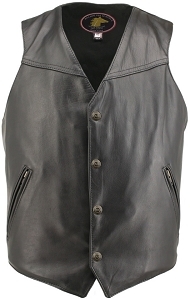 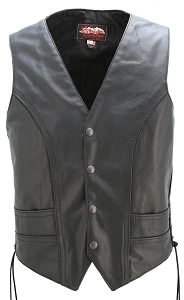 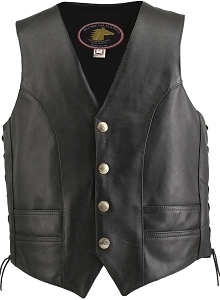 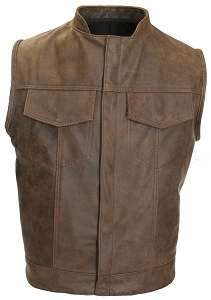 Men’s Western Style Black American Bison Leather Vest.